It?? ?s hard to deny yourself the added luxury and convenience of a chair when it only weighs 13 ounces. 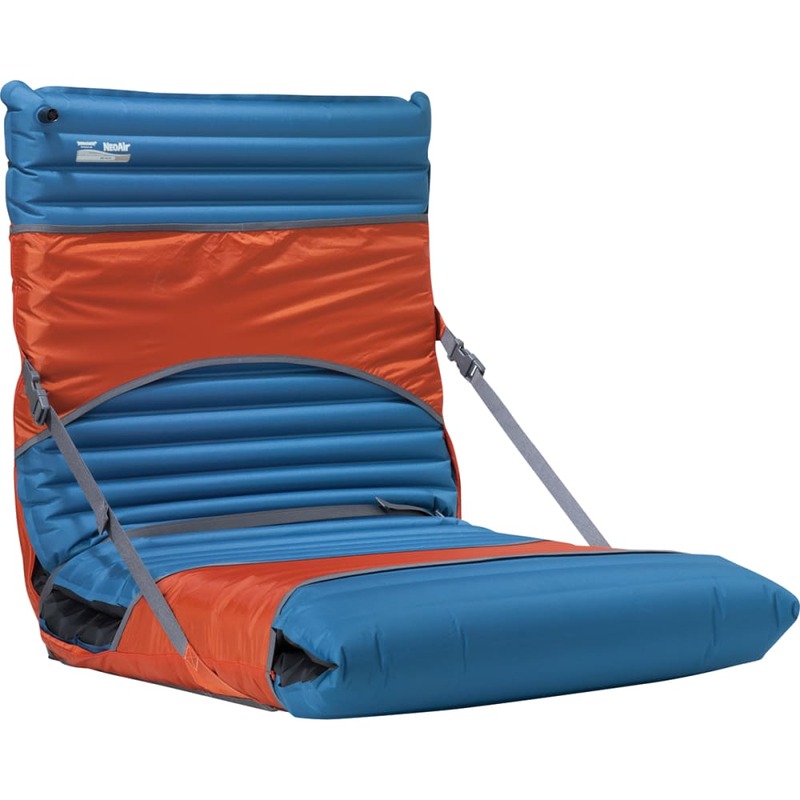 The redesigned Trekker Chair uses ultralight nylon and fiberglass poles to pack small. The elastic sleeve edges stretch to fit both NeoAir?? and self-inflating pads. Ultralight Luxury: It?? ?s so compact, light, and incredibly relaxing, you may never travel without a chair again. Easy to use: Quick set-up; packs small when not in use.